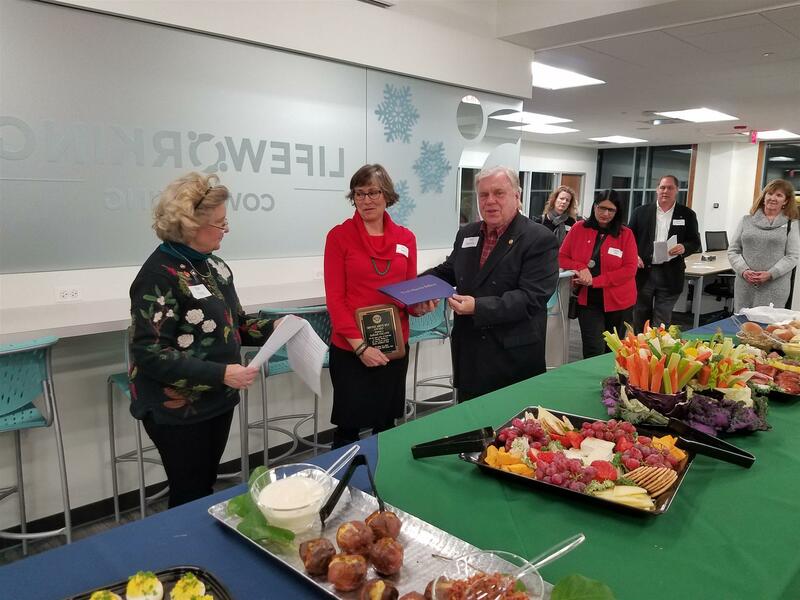 The Lake Forest - Lake Bluff Rotary Club's annual holiday party was held at LifeWorking in Lake Forest. Pictured here is Sarah Collins receiving the "Service Above Self Award" and a Paul Harris recognition for her new grandson, Connor. 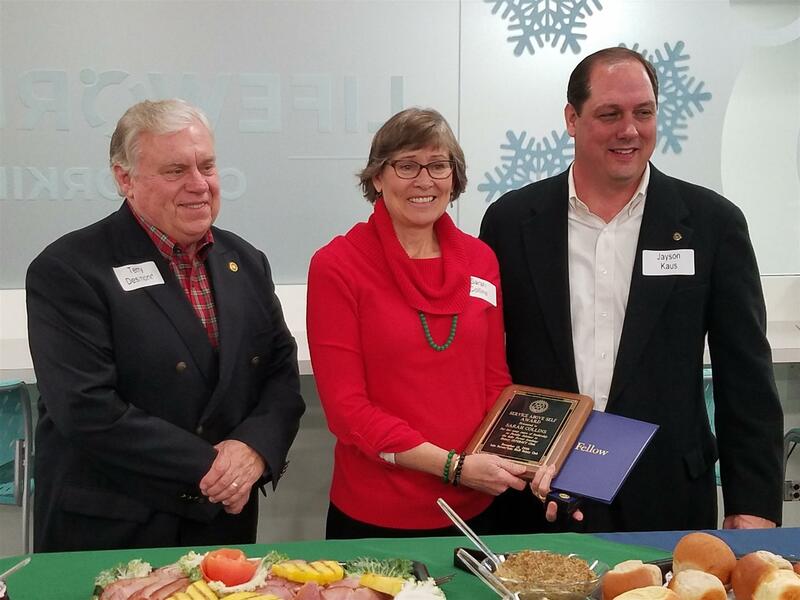 Also pictured, Members, Terry Desmond, Ellen Young, Jayson Kaus (current President). Thanks to Social Chair, Marc Munder, for organizing a great event. Special "shout out" to elves (members) John Looby and Rich Brandel for procuring the liquid refreshments! Thanks to Steve Whittington of LifeWorking for the event space (Steve was a Rotary exchange student to Sweden back in High School) and Sunset Foods for delicious catering.